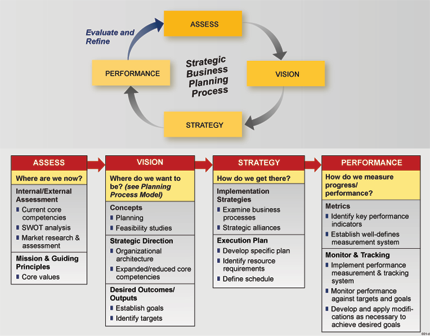 Strategic Business Planning - MAR Development Corp.
focused on the client’s organizational structure and business model. MAR assists customers in developing new business lines and improving existing business lines to create and maximize value. MAR analyzes the customer’s business model, focusing on the new business proposition and its relationship to existing markets. We then examine the company’s organizational structure for gaps that may require restructuring to enhance performance. Our analysis looks beyond traditional business models, which focus on market share; market share does not equate to profitability in today’s competitive and ever-changing business landscape. MAR looks for new ways to capture profits through smart business design. We articulate and define the profit model early in the planning stage and test its validity through analysis using dynamic software and our experience. The model addresses how we can make a profit, how can we extract further profits through the value chain, what is the risk in pursuing these other profit areas, and is the risk equal to the reward. MAR has the experience and resources to help you become more efficient and profitable.